It’s unlikely Camier will race this weekend. causing the practice to be red flagged after only 10 minutes. Despite the crash being early on, Camier’s fastest lap was still good enough for 7th on the timesheets. After a trip to the medical centre, Camier has been sent to hospital with a damaged knee. The FIXI Crescent Suzuki team have said Leon’s participation in the rest of the event is unlikely, although a decision has not yet been made. 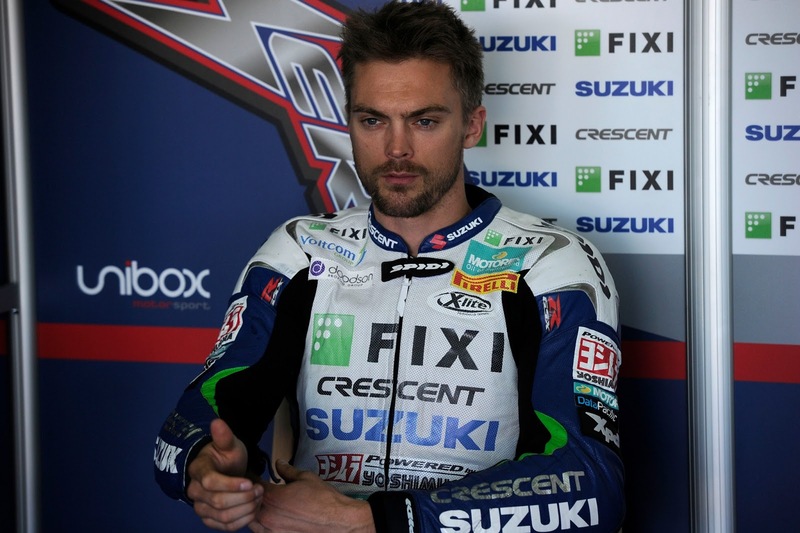 Camier has had a run of unfortunate luck this year already, in testing prior to Phillip Island, Camier had a huge highside, destroying his Crescent Suzuki. Times from the session can be found here.